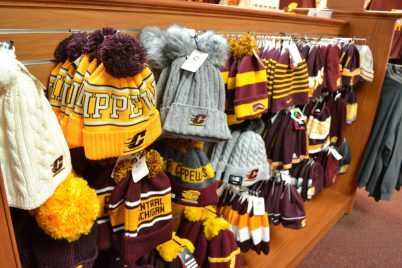 Homecoming Fashion with the CMU Bookstore | Grand Central Magazine | Your Campus. Your Story. Got nothing to wear for the game Saturday? 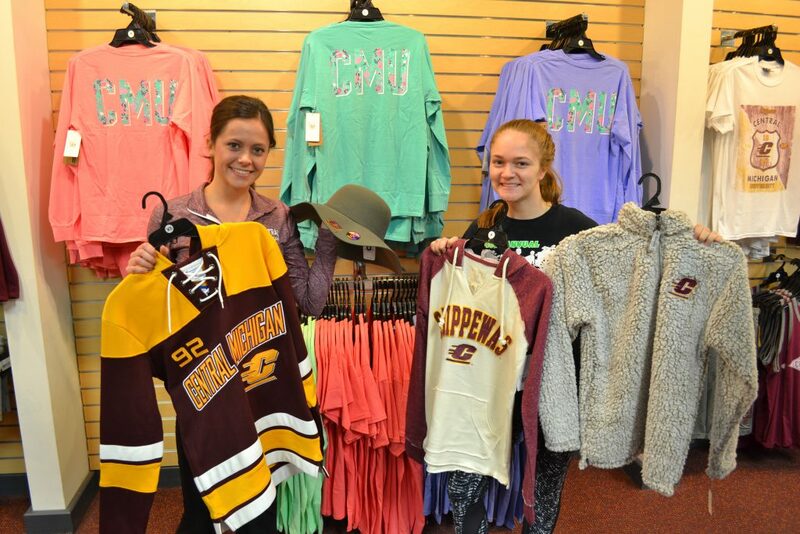 The CMU bookstore understands; they’ve got experts on hand to help you out. Senior Ashley Steffke and sophomore Sarah Bellinger know first-hand about students’ fashion favorites. 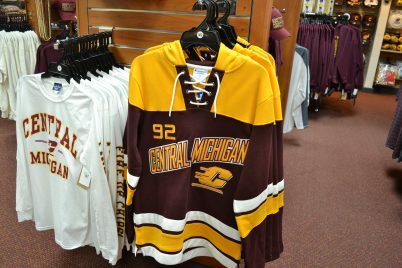 Steffke showed us unique items the CMU bookstore has to offer, like a floppy hat and a vintage style hockey jersey. 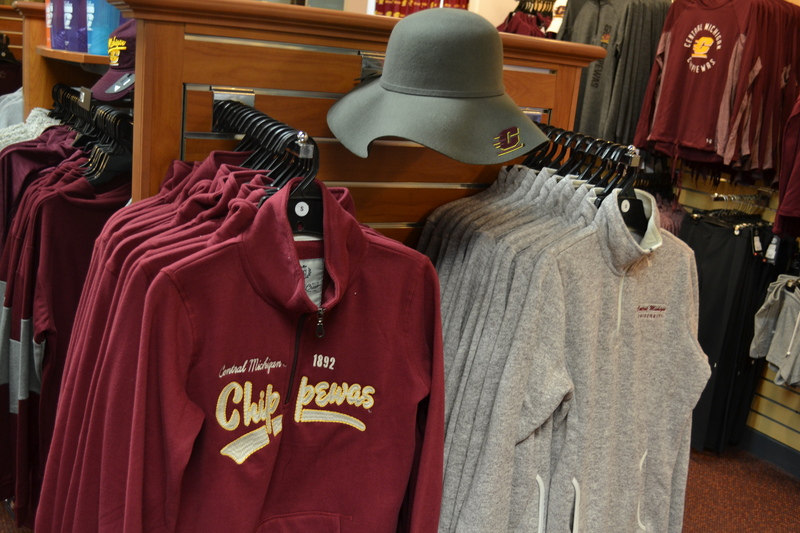 When in search for the perfect tailgate outfit CMU’s bookstore has many unique trendy pieces to offer. Separator image Posted in Campus Fashion, Style, Style & Beauty, Women's Style and tagged with Bookstore fashion, Homecoming, Jenna Boulter, Style and Beauty, Tailgate season, The Spirit Issue.